Movie streaming is something that we all love. It is always fun to sit on a couch and get to see the movies with all the control of the place and time. There are many apps with their own unique features that do stuff like offline viewing, high-quality content and also things like access to a variety of genres. 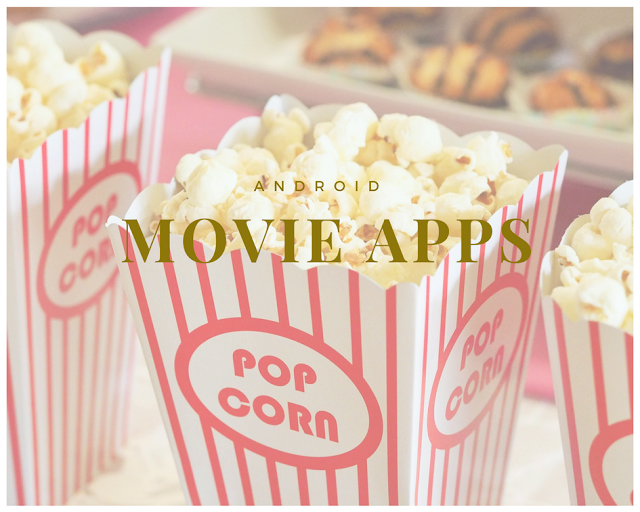 In this article, we elucidate you about 9 best apps for streaming movies on android platform. When downloading an app, you should always look for features such as the quality of content and the speed of streaming. We have written about the apps which carry high-quality content and are available easily. Showbox is one of the oldest and the best movie streaming apps which you can ever have. The app looks premium and has everything that makes a great movies streaming app. It has a collection of all the latest movies and TV shows. The look and feel of the app look very premium. The quality of all the movies on the app is top notch and you will also get the facility to download the movies for offline viewing. The app keeps getting updated very frequently so the developers will always keep it refreshed with latest movies and shows. The app does wonders and if you wish to know more about it then head to this apk source. CinemaBox is yet another box which is known extensively for the easy to use user interface. It is a must-have for all the movie buffs. You can download the movies for the better viewing experience. Users will find it very easy to navigate through the app and you get subtitle support for a ton of movies. If you love to see movies on a bigger screen then the app also supports chromecast. The developers keep refreshing the content so there are always new movies coming. You even get a kids mode to keep it under control from showing an adult content. Terrarium TV is a movie streaming app that which is similar to streaming apps like Showbox. The app streams HD movies and TV shows. It is available for free and has a memory size of only 33.2 MB. It will run on any android with a version above 1.8.0. The app even has around 50 4k movies and many HD movies. The app even supports Android TV and TV Box. You can even bookmark your favorite movies and TV shows that you wish to again. Tubi TV is one of the rarest apps that is available on the play store which is available on the google play store. It is absolutely free and due to which you will see a few ads every now and then. However, the ads will be less than what you see on cable television. Free movies and new shows are added regularly after every week so there is no dearth of content. The app even has a category called “Not on Netflix”. You get a very clean and crisp user interface that is easy to navigate. Yes, movies are another emerging app which streams HD movies and TV shows. You can effortlessly stream the movies on your smartphone or tablet. Media content on this channel is not just limited to English but you will find movies in many different languages. You get the freedom to choose the genre of movies and TV shows. You can set filters like a particular country, language, TV series, or a TV show. The app is very lightweight which means you will be able to install the app very easily. Hubi app is a movie streaming app that has a condition where you won’t necessarily need a flash player for playing movies. It gives you the flexibility to download the movies for offline viewing. MegaBox HD is another app that lets you stream movies online. It enables you to watch movies for free. Because it is against the policies of google play store, you will not find the app on google play store. MegaBox HD is an app that has a very cool user interface. There is no dearth of movies in the app. The user interface of the app is very cool and you will find almost all the movies in the app. Just type the name in the search tab and you will get the movie. HD movies is a movie streaming app that lets you stream all the movies and even trailers. Everything here is of high quality. You can watch online movies from Hollywood and Bollywood. The app also goes a step ahead and give its users wallpapers in high resolution. It has all the latest collection of movies from a variety of different genres.There are tons of movie sin blu-ray and even a lot of dubbed content is available for the users. The description from the app page explains very well about crackle app. It is your one-stop destination to watch Hollywood movies, hit TV shows, and dedicated crackle originals. You will be able to stream hit content for free. Users will find genres such as comedy, drama, action, fandom. To know more, you can head to the spotlight section of the app that has the hand-picked recommendations of the crackle team. You will not require any kind of subscription to the app, just create a free account and get rolling. Watching movies is one of the favorite pastimes of many people. When you have so many movie streaming apps that let you enjoy the content whenever you want at whichever place you want then there is no reason to not enjoy watching movies. In this article, we have curated a list of 9 movie streaming which works great on android platform. Happy Binge watching!.